Takin Festival and Trekking at Tsharijathang. 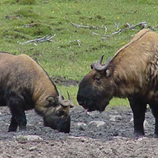 Encounter Bhutan’s exotic national animal, the Takin (Budorcas taxicolor), at their native summer habitat. Witness the largest congregation at the mineral lick, and take part in counting the number of individuals. Embark on a breathtaking trek, go bird watching and experience the nomadic life, including opportunities to sample meals prepared from yak dairy. 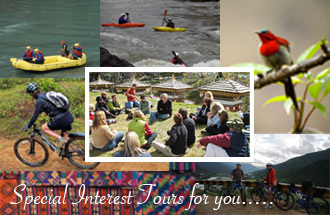 Also, ride a yak and sleep in a real yak-hair tent.Learn to identify Bhutan’s treasure trove of native medicinal herbs and step yourself in the kingdom’s homeopathic lorewith a unique chance to see the mythic cordyceps, which is creating a sensation in the world of natural medicine. Bring the right level of curiosity and you might even glimpse one of Bhutan’s rare wildlife royalties: the tiger or the elusive snow leopard! 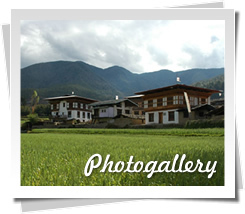 Brief Details of route 1(1 day by car and 4 days on foot): Follow this route through Punakha, the ancient capital of Bhutan, and Gasa, well known as organic and medicinal bath district. Visit the famed Gasa hot spring and get pampered by the warm hospitality of Laya’s yak-herder communities. 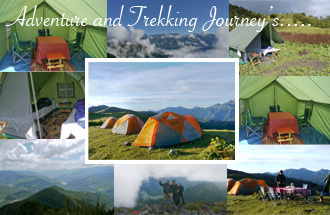 Enjoy the trek through mixed coniferous forests and alpine meadows, and relish the splendor of Mt. Ganchentag (popularly known as Tiger Mountain). One may occasionally spot the rare snow leopard and takin on the way. Brief Details of Route 2 (7 days on foot): This route begins at Dodeyna which lies on the outskirts of Thimphu town, presenting a stark difference between bustling city life and sheer wilderness.At Dodeyna, be greeted by Chari Monastery perched on an iron-like hill. Be awed while walking through the breeding habitat of Tiger and be mesmerized by the steep rocky cliff s carved by the crystal clear Wangchhu River. Brief details of Route 3 (1 day by car and 7 days on foot): The adventurous journey begins from Paro. Take the rigorous trek through spectacular mountain scenery, serene country side and upland communities, thundering waterfalls, rushing rivers, and colorful alpine meadows. Imposing Mt. Jhomolhari, Mt. Jichudrakey, and Mt. 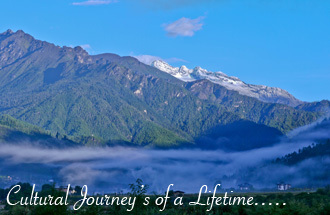 Tsherimgang will make your journey memorable with greatest sense of achievement. 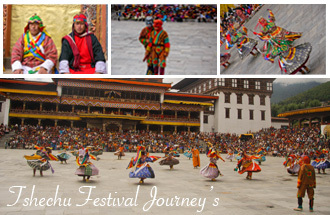 Brief details of Route 4 (12 days on foot): The adventure begins from Phajoding,Thimphu. Come prepared to enjoy the beauty of multicolored alpine lakes and rhododendron-covered hills.Get to see the bird’s eye view of Thimphu town. 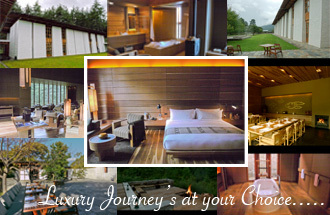 Enjoy the walk through pure stands of fi r and juniper forests. Discover the habitat overlap between snow leopard and tiger. Know the varieties of medicinal plants and alpine flowers. 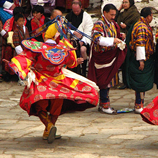 Include 2 days halt at Tsharijathang for the festival (9-10 June 2011).